Our schools will always need great leaders. Individuals who possess deep levels of courage, tenacity and integrity and are willing to take on the often very heavy mantle of school leadership. With a continuing decline in the number of teachers putting themselves forward for leadership roles, we need to take a long hard look at what can be done to maintain the commitment of those who have taken a step up the ladder. When such strategies are in place, an individuals’ capacity for being ‘great’ is increased are they are able to maintain an upward trajectory towards self-actualisation. 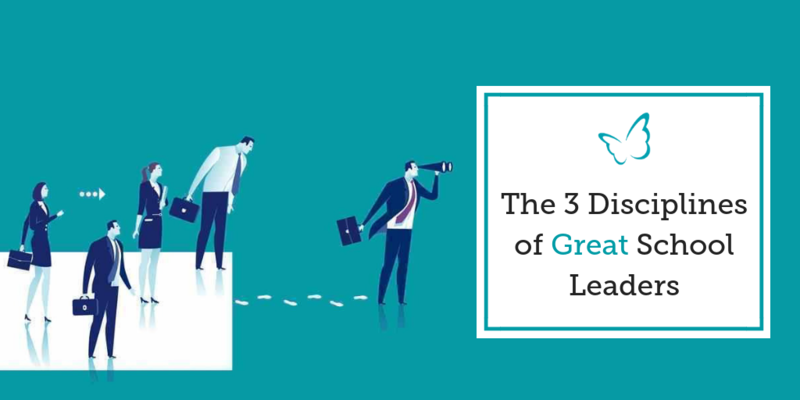 This trajectory is maintained through the development of three key disciplines that are integral to the way in which they lead themselves and others. Great school leaders know that it is not enough to ask questions of others in their endeavour to create good and outstanding schools. They know that they must also ask questions of themselves. The questions that they know others would not dare to ask of them, but nevertheless they know that they must dare to ask of themselves. They know they must ask questions about their hidden fears, their limitations, their biases and their emotional responses to the challenges of the role. They face up to asking these questions because they know that in doing so, they will find answers that will strengthen their leadership and their capacity for growing in the role. Great school leaders are not afraid of failure. They are not afraid of stepping out into the unknown. They are not fool hardy in their decision making, neither are they unconsciously influenced by the unmet needs of their ego. Instead, they are guided by their strong moral purpose. The risks that they take are guided by what they believe to be right or wrong and they understand that paradoxically, the right thing to do, is not always the easiest thing to do. As a result, the risks that they take enable them to grow in both character and wisdom. They are leaders that others look up to and trust, because they demonstrate that great leadership is not a popularity contest, but a self-less quest carried out in the service of others. Great school leaders know that without a strong and secure sense of who they are and how they wish to be seen, the impact of their leadership can be seriously undermined. They know that amidst the myriad of opinions and voices offering advice and telling them what to do, they need to know when to turn down the volume and listen to their own voice. They know that the ability to do so, keeps them connected to their personal vision, it keeps them connected to their ‘Why’ and in so doing ensures that any decisions they do make are aligned to who they are and how they wish to be seen. In the frenetic life of a school leader time and space are increasingly rare commodities. With a constant flow of meetings to be held, problems to solve and fires to put out – it can be very hard for leaders to find the time and space to be still and think. As a result, it can feel though there is rarely any time for you to take a step back and reflect on one’s leadership and more widely on the issues you’re facing. However, without this chance to stop and consider what’s working and what isn’t – many leaders find themselves repeatedly making the same mistakes or simply leading on “autopilot”. This lack of space also means many have very few avenues for exploring and talking through the emotional aspects of the role, the challenges it poses and the impact is having upon them, mentally, emotionally and physically. In turn, this can (without doubt) increase the risk of emotional ‘burn out’. When this begins to happen, not only do we experience extreme levels of mental and emotional exhaustion that can be debilitating to our ability to lead others, our health and our overall well-being. Having been a Head myself, I know all too well what this feels like but equally what must be done to prevent it! 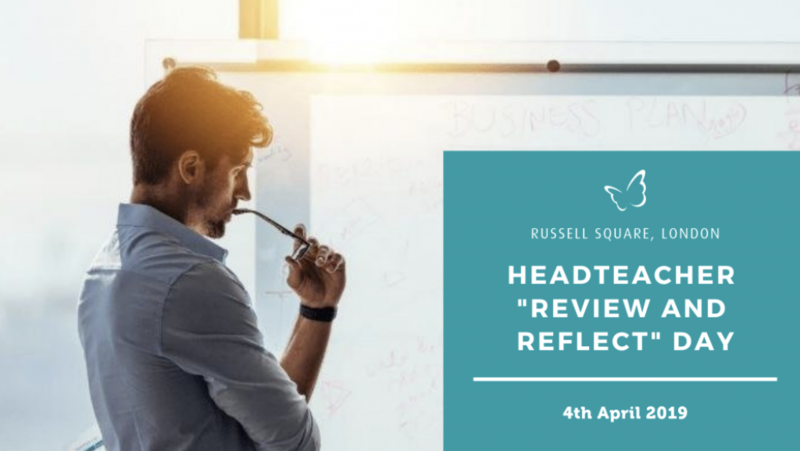 That’s why we’re now offering our very first half day “Headteacher Review and Reflect” session on Thursday 4th April at the October Gallery, in Russell Square from 1.00pm – 4.00pm. This session is designed to be a space where Heads can come together to take stock, review the goals that they set at the start of the year, re-build your emotional reserves and achieve a clearer sense of what you want to achieve across the rest of the school year.